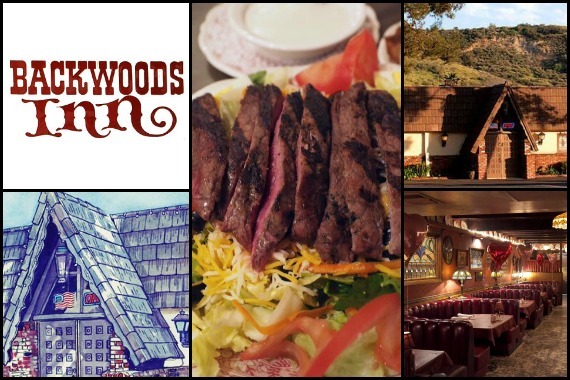 Backwoods Inn has been America’s favorite since 1968. Family owned and operated, come on down and take a seat with us! "Dishes so good, you'll want to spread the word. http://bit.ly/2VKgOwb"
"Fight for your favorite in the comments!" "Customers wanted: No experience necessary." "@cabadger65 @andy_chanley wow we're really feeling the love! Come on down to Backwoods whenever you need delicious food and throwback tunes." Baby backribs, potatoes, salad, all perfect. Very good lots of choices. This place is for beef lovers, I had scallops they were delicious ,& plenty of them. Would highly recommend. Yes, I'd like to receive news from Backwoods Inn. Sign up for the Backwoods Inn Newsletter!